It is known that the malic acid content of apples decreases as they ripen. This is probably why unripe apples taste so sour. We think it would be fun to use this permanganate test to qualitatively compare the amount of malic acid in apples during the ripening process. Do you have suggestions for other investigations based on the experiments presented here? If you have any ideas – or better yet, try some experiments on your own – be sure to let us know! 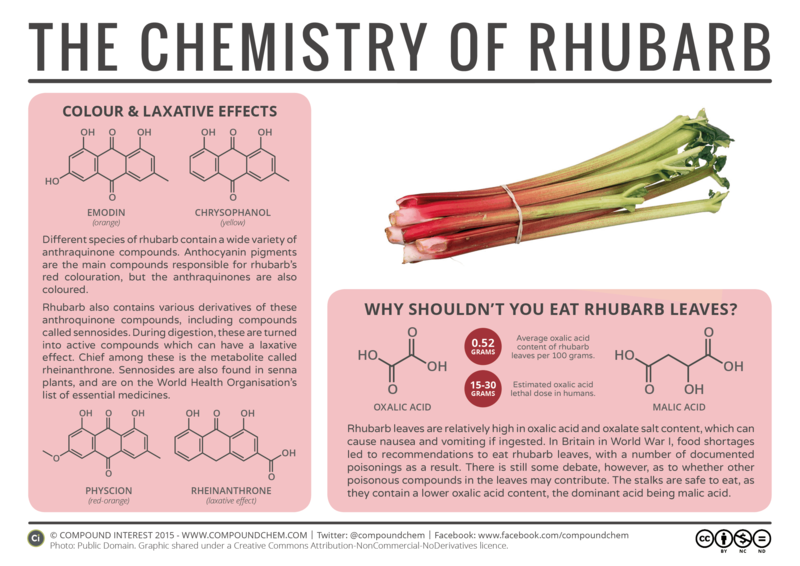 In closing, we note that our investigations and experiments do not prove that malic acid is the main contributor to the loss of purple color when rhubarb is placed in permanganate solutions. However, they do strongly indicate that this is the case. What kinds of tests do you think we could conduct to strengthen the case that it is the malic acid in rhubarb which decolorizes permanganate in this classic experiment? We look forward to hearing from you! Tom’s note: Andres Tretiakov, is a science technician at St. Paul’s School in London. He is a chemist and science enthusiast who enjoys making pyrotechnics and other energetic materials. Andres has shared with me several experimental ideas to share on ChemEdX. This blog post represents the results of investigating one such experiment. Hopefully, Andres and I will be able to share additional collaborations in the future. You can follow Andres on Twitter @Andrestrujado, and be sure to check out his YouTube channel. NOTE: we used Jungle Brand Clear Water aquarium treatment (purchased at a local pet store) as a source of permanganate ion. It might be quite interesting to test permanganate with oxalic acid content in the leafy green vegetable called sorrel. I do not think it has malic acid content. I raise it in my grden and use it to make sauce for salmon and also for a kicky flavor in soup. I've never heard of sorrel before...[pauses to search internet]...Holy Cow, it looks like sorrel has a TON of oxalaic acid in it. If you get the chance to test some of this with permanganate, let me know. I'll also try to get my hands on some sorrel and do the same. Thank you so much for sharing this idea with me. I love having new experiments to try!